Since the unemployment rate has stayed the same, the only important economic news for GBPUSD is the Non-Farm reports by the US. It seems that the rebound from 1.3835 has already been completed after touching 1.47667. 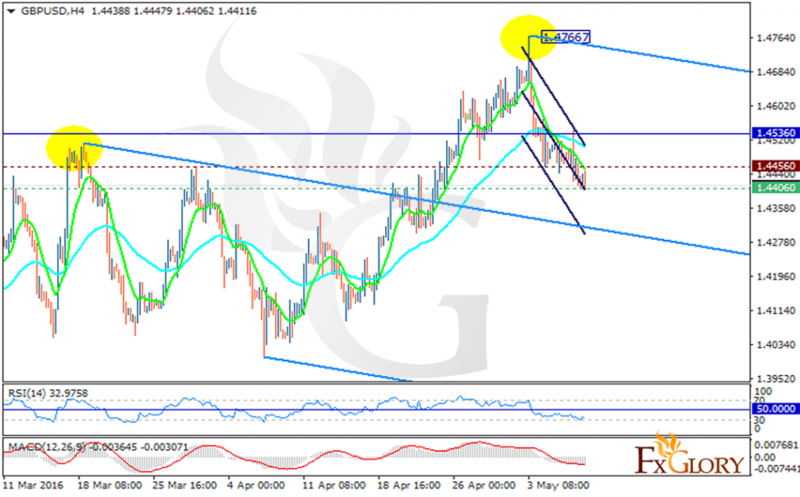 The support rests at 1.44060 with resistance at 1.44560 which both lines are below the weekly pivot point at 1.45360. The EMA of 10 just crossed the EMA of 50 and is moving below it. The price is falling down the descendant channel and as the indicators are suggesting, it will continue its movement with bearish bias. The MACD indicator is in negative territory and the RSI is below the 50 level. Short positions are recommended after the support level breakthrough. The target will be 1.4229.